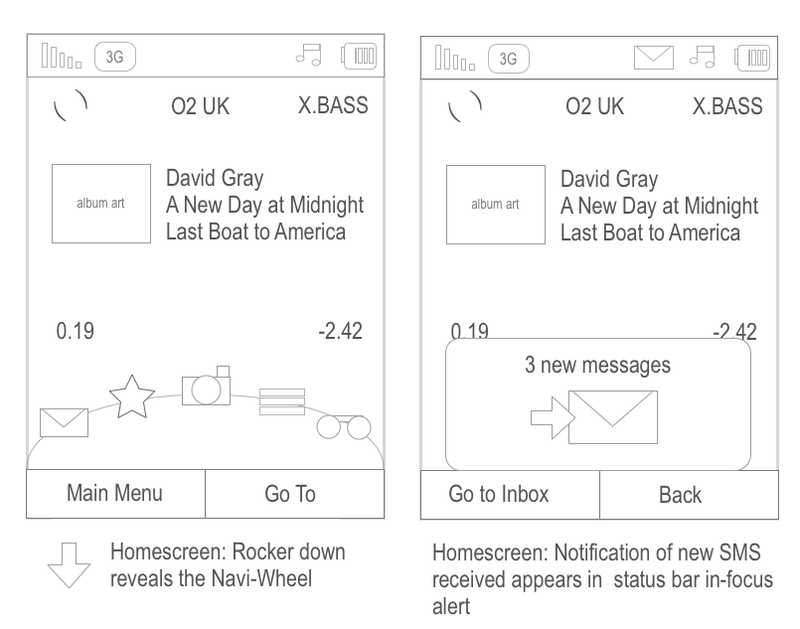 I designed the user interface for O2 Jet, O2 Ice and the acclaimed O2 Cocoon by following a fully resourced used centred design process, literally working side-by-side with Product Management, Industrial Designers and Device Engineers to create a more holistic user experience for the devices. Liaised directly with the OEM in Korea (Pantech and Asus). The O2 Cocoon was a music centred device and was launched with The O2 Arena in London. 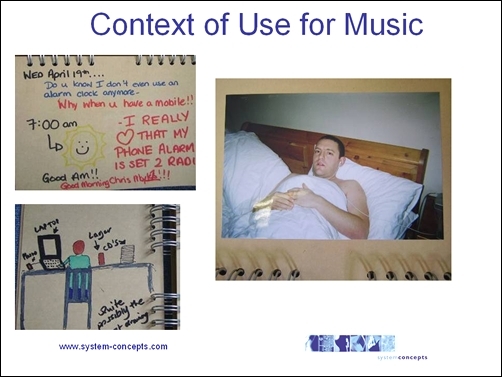 Notably, we successfully used diary studies to inspire our design of the music experience (below). It is now in the Design Museum London as a beacon of ergonomic design. 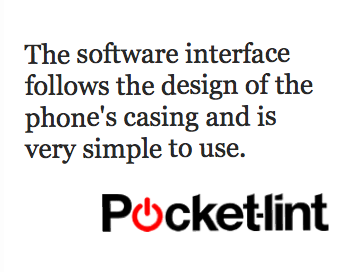 Years before iPhone's Control Centre, here's a concept for a shortcut tool to important functionality from the Homescreen. 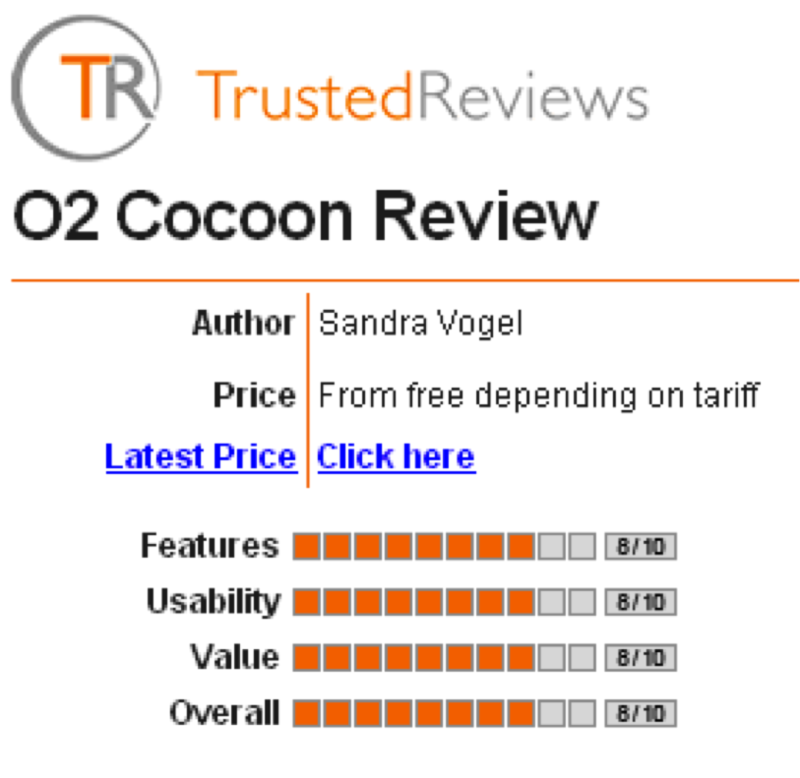 O2 Cocoon. Novel hidden blue LED display beneath the curved white case. 'Nest' configuration so the device can sit neatly on a table or bed stand. My desk in 2006. We acquired interesting music related devices on the market for evaluation. Diary studies were commissioned to examine how people really use music on their phones. The O2 Ice was the thinnest 3G phone available at the time of release. It was aimed at design conscious younger people and came in a range of unique colours. The O2 Jet was aimed at business customers, those using the famed Nokia 6310i. It had the longest battery life of any device on the market. 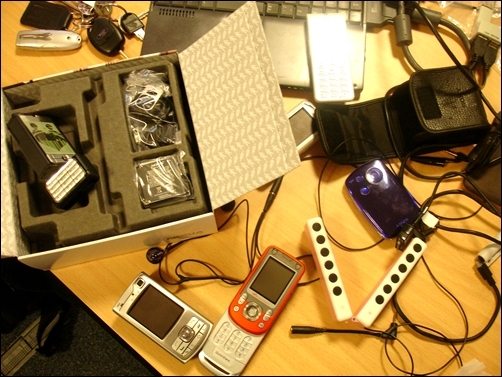 I worked side-by-side with device engineers and gained fascinating insight into the device components. 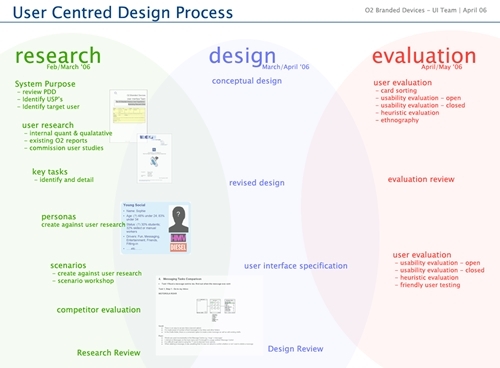 I shaped and visualised the user centred design process at O2 Branded Devices.